FRIDAY, Sept. 16, 2016 (HealthDay News) -- When caring for a child with a concussion, many parents follow outmoded advice that could make symptoms worse, researchers say. A nationwide survey asked 569 parents how they would care for a child whose concussion symptoms lasted more than a week. Nearly 80 percent said they would probably wake the child throughout the night to check on his or her condition. 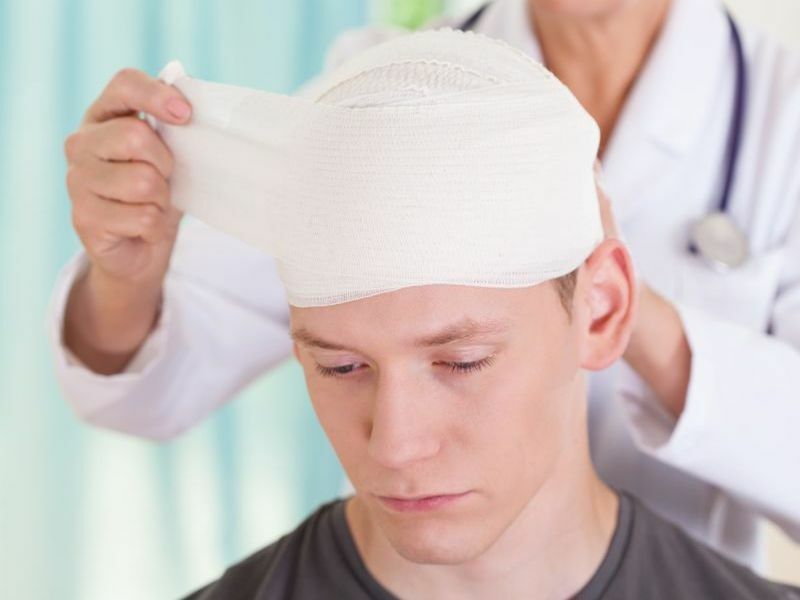 "Many parents believed they might overlook swelling of the brain if they allowed their child to go to sleep with a concussion," said Dr. Christopher Giza, a pediatric neurologist and director of the BrainSPORT Program at the University of California, Los Angeles. "We certainly want a doctor to evaluate the child immediately after injury, but if you're still waking a child up throughout the night more than a week later, you're doing more harm than good," he said in a university news release. Doctors evaluate factors such as mood, memory and energy level to gauge how well a child is doing after a concussion. These benchmarks are significantly changed if a child is awakened every few hours. "Once a professional has diagnosed your child and determined that there is no further risk, let them sleep. In fact, we encourage sleep very early on because that will help the brain heal faster," Giza said. More than 8 out of 10 parents surveyed said they would probably insist their child stop physical activity. But Giza said children should not be completely inactive. "We certainly don't want them to go back to playing contact sports right away, but gentle aerobic exercise like walking the dog, easy hiking or riding a stationary bicycle is actually good for them," Giza said. "Being active can help children improve their mood, take their mind off their symptoms and restore a sense of normalcy." While 64 percent of parents said they would probably take away a child's cell phone and other electronic devices while recovering, Giza said social isolation can trigger other problems such as anxiety, depression and appetite changes. "These kids quickly start to worry about keeping up in their classes, losing social status and, if they are athletes, whether they will lose their place on the team. It's important to ease them back into their social circles quickly, and that might mean being a little more permissive when it comes to social media and screen time," Giza said. The study findings highlight "just how far the pendulum has swung in terms of caring for children with concussions," he noted. The tendency used to be to downplay the significance of concussions. "Now," Giza said, "some parents go too far the other direction and, despite their best intentions, they can inadvertently complicate their child's recovery."